The sky's cleared up for us yesterday afternoon and we had great crowds for our annual Open House event. 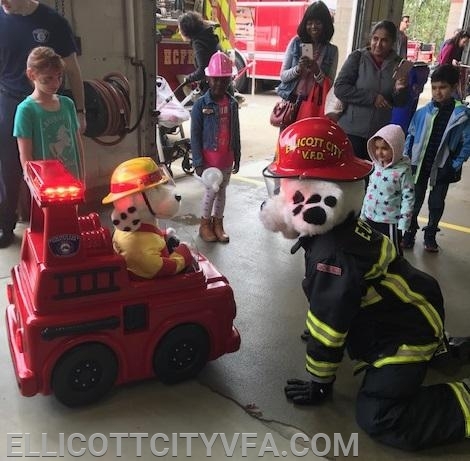 Smiles could be seen throughout the station as children and adults participated in hands only CPR, face painting, the JR firefighter challenge, getting their blood pressure checked and watching our auto extrication demo. Thank you to our community partners - Cub Scout Troop 678, HC Library System, HC Health Department (naloxone training), Board of Elections, MFRI trailer, MIEMMS, Mission BBQ and NHS students and parents from Wilde Lake High School who came out and helped make this day a huge hit!